The creation of each and every dooup Complete Pet Waste Clearer is bound for a rather unpleasant job. The nature of these pooper scoopers are to scoop the poop, so not the most glamourous of positions. 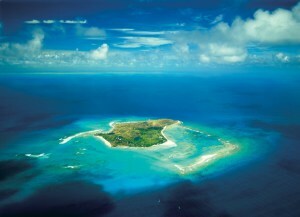 However, if you were to come back as a dooup, you would definitely choose to be one of the ten very lucky dooups that were shipped to the luxurious Necker Island to deal with the Gecko waste that apparently pollute these glam shores. Sunning themselves with the celebs, these dooups may just become famous too. That’s the hope at the dooup HQs anyway! #Richard Branson’s 74-acre #Necker Island is one of the few places in the world that the rare gecko – Virgin Islands dwarf gecko, lives. However, we do know that the manager of the Island has a dog, so perhaps the dooups are also finding their purpose in clearing doggy doo too. The dooup CPWC is in fact the only pooper scooper in the world that sprays environmentally friendly sanitising fluid while clearing away animal waste! It also stores multiple amounts of waste before the bag inside seals it away upon removal of the storage chamber. For slightly sticky waste like a Gecko’s waste would be, the user would need to push the lever a few extra times to disperse more spray to help lift all of the waste, perhaps repositioning each time to get 100% clearance. We know that with good practice and applying the right technique for the right terrain and waste consistency, the dooup is the best pooper scooper available. Who knew the dooup would become a Gecko poop buster!? So these dooups are at home in an island where people spend US$2,167 per day to stay – they are definitely the luckiest pooper scoopers in the world. And of course, the team at dooup HQ would be happy to fly out and help clear Gecko waste, if any assistance was ever required. Travelling can be a stressful time. It can be even more stressful when you have a dog with you. Whether you are travelling locally or abroad this summer make sure you have the essentials that will make your journey much smoother. Comfortable bedding is a must have. Dogs are like humans, they love to sleep. More often than not summer travel means car journeys, long ones. With a large dog in the boot or a small dog on the back seats of your car, or even both, dog bedding can make travelling with your pet much easier. We recommend if possible taking your dog bedding from home with you. This can make the dog feel comfortable and safe having the scent of home on their travels. There are a wide variety of beddings and dog beds out there. There may be one just perfect for your dog but take time to trial and error. Not every dog likes cushions, thrones or basket beds, they are a very picky animal. The most important thing to remember when travelling with a pet is food and water. Long car journeys can put extra stress on your dog. He might be sleeping happily in the boot but inside he is probably dieing for a toilet break and a drink like we all are after a long journey. If you are struggling for room when you’ve packed up the car then look into foldable water bowls. These bowls take up no room at all, provide your dog with a drink and are easily washable. For food, make sure to take treats and chews that will keep your dog entertained throughout your holiday. However, if you are travelling abroad make sure to check what you can and cannot take with you. There is nothing worse than having to leave behind all your dogs treats and food at the airport whilst your dog drools on in the distance. We have covered the three essentials food, water and bedding. Now all you need is the extras that may be essential, they may not, but they can come in handy on your travels. First up is the slightly unconventional dog strollers. Suited more towards the smaller dog unless you have the muscles to push your great dane round the park. Strollers can take up a bit of space in the car but if your small dog isn’t that great at long walks and you are planning to do a lot of exploring on your holiday then these are perfect for you. Let your dog see the sites with you without having to carry him or her everywhere. For the larger dog Biker Sets are ideal. These leads are used when you are cycling with your dog running alongside. 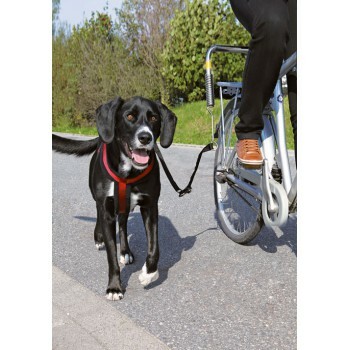 They provide safe leading on a bike because your dog’s sudden tugs are softened by the integrated spring safety. If your dog decides to make a dash for it then at least you will not be going with them. These Biker Sets mean that you can enjoy the sites on your bike and exercise your dog at the same time. When the car is packed, the dog is sleeping happily and the kids are covered in suncream, it is time to enjoy your holiday! For more tips, travel essentials and accessories then visit our page here. They say that a dog is man’s best friend and if you are one of the estimated 8 million households that own a canine companion you’ll know exactly why this is so true. Dogs really do become part of the family so it’s no wonder that more of us than ever are choosing to bring our pooch on holiday. While you can (thanks to pet passports) take them abroad we still think that renting a UK holiday cottage is the best way to go as there is usually plenty of outside space and no worries about a tricky flight. Lesley Houghton regularly travels with her dog (a new addition to the family in the past year) and recently stayed at the School House in Sandsend. She says ‘preparation is key really, make sure you have as much information on the cottage and surrounding area before you set-off and make a list of everything you will need’. It really goes without saying that you will need to select a dog-friendly holiday cottage but you should also check the size of the property is suitable for your pet and there is enough outside space for your particular breed. It is a good idea to check if there are any restrictions such as areas that are off-limits for pets (you don’t want an award winning flower border to get trampled or cream carpets to be ruined) or a limit on the numbers if you have more than one. Remember that if you are making a long car journey that you take a bowl and some water with you and have plenty of stops (particularly if it is a hot day). Make sure your dog can stretch their legs and get some fresh air at regular intervals. If your dog is not used to travelling it is a good idea to try them on some shorter car journeys beforehand. Try and make a checklist of everything your dog might need before you set-off and make sure you have enough food, treats, any medication and the all-important poo bags. You’ll also need to take your dog’s lead and collar which should have a tag containing your contact information. If you don’t want to take too much stuff with you it’s a good idea to check where you can purchase dog food locally (particularly if you stick to particular brands) and what items the cottage will have available. Your dog may be unsettled when they first arrive so it is a good idea to take as many of their things as possible. Familiar items such as your pet’s own bed, blankets and toys can make a big difference as the last thing you want is for them to feel worried and upset. Show them their new surroundings and let them explore (where appropriate) so they start to feel at home as soon as possible. 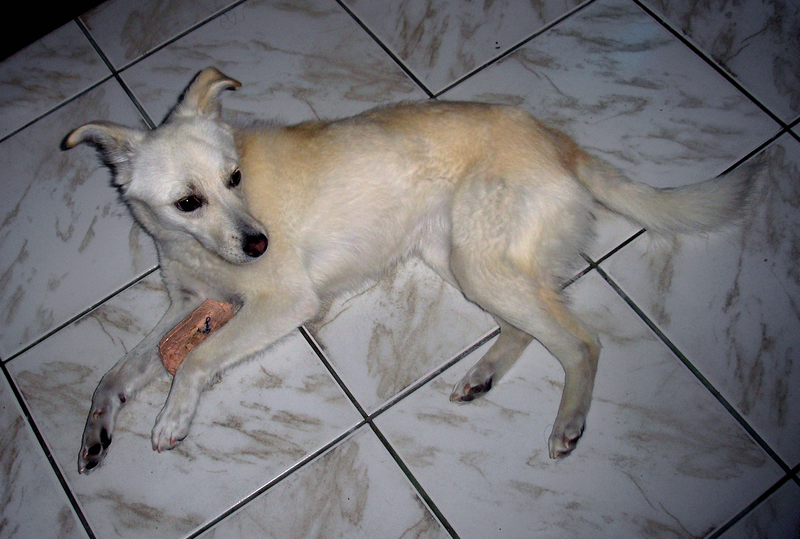 Dogs tend to be creatures of habit so stick to their routine of feed and walk times where possible. Hopefully you won’t need to contact a vet on holiday but if your pet does fall ill or get hurt while you are away it is good to be prepared. Research some vets that are close to your cottage and keep their details handy throughout your stay. It is also worth taking your pet to your own vet before travelling as well just to make sure they have a clean bill of health and are fully up-to-date with vaccinations and other treatments such as worming. We are pretty sure your holiday will involve getting out and about so make sure any places you plan to visit are also dog friendly. Lots of Yorkshire attractions are happy to allow dogs though you will probably have to keep them on a lead. Check out The Good Dog Guide for more information. Quite a few pubs will also allow dogs offering drinking water (and occasionally even doggy beer!) but it is a good idea to find out which ones will do this before your holiday. If you plan to venture out without your pet, ensure it is OK to leave them alone in the property and that you aren’t gone for too long. You don’t want to come back to any nasty surprises! If you do plan to be out for the day you may be able to find a local dog-sitter to help out but again it is best to organise this before you set off. You should probably ask yourself how well behaved your dog is before taking them to any cottage. Spending some time on dog training before your holiday (whether you do this by yourself or a local class) is a good idea. Try and ensure your pet can obey some basic commands – even if this is just Sit and Stay. The last thing you want is for anything to happen to your precious pet so make sure the cottage and garden are secure and there is nowhere for them to escape (it is a good idea to have them micro-chipped though in case they do go missing). Going for a walk with your dog through beautiful countryside is just one of the perks of taking them with you but it is important to be vigilant. If you take them off the lead make sure there are no dangers about such as cliff edges, streams or wild animals. With these tips you should have a great holiday with your pet. 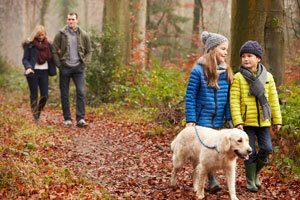 Check out the dog-friendly cottages available or call the team on 0844 736 6276. Our top 5 dog-friendly holiday cottages in North Wales. 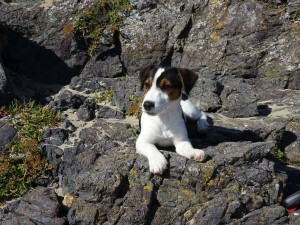 North Wales ticks all the boxes for a pet-friendly holiday. 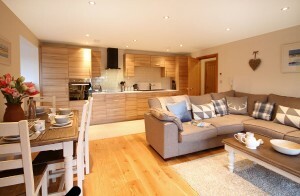 Wide open spaces, miles and miles of walks, dog-friendly beaches, welcoming restaurants and cafes….the list goes on. All you need to do then is find somewhere to stay! Here’s our top 5 dog-friendly North Wales holiday cottages where both you and your pets can relax. Just THE most perfect spot! 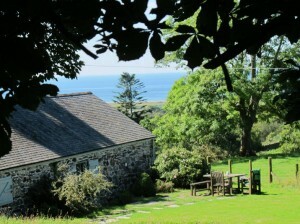 Breathtaking sea views, a rural setting, open fire and close to restaurants and shops in nearby Porthmadog and Criccieth. A great location for exploring both Snowdonia and the Llyn Peninsula, with some excellent dog-friendly beaches nearby including Black Rock Sands. This converted chapel has to be dog heaven. Tucked away in a remote valley in Snowdonia, with mountain footpaths and valley trails leading in every direction from the door. The peaks of Moel Hebog and Moel Ddu are just waiting to be conquered – or perhaps a gentle stroll around the Cwmystradlyn lake instead?! If you are looking for some wow factor – then here it is. Built by the 8th Lord Boston, and still owned by the family today, Cae’r Borth is the ideal venue for a family gathering or special occasion. Private beach, direct access to the coastal footpath, beautiful paintings, fabulous dining room, not to mention the seaviews. Oh yes, and a kennel too! If you prefer something a little more contemporary, then this beachside ground-floor apartment in Trearddur Bay on Anglesey’s west coast will fit the bill. 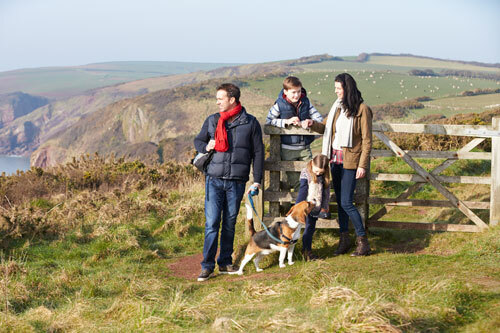 Dog-friendly pubs, walks and a great expanse of beach are all on your doorstep. Walk along the coastal path, pass Bwa Gwyn (the White Arch) towards Rhoscolyn where you can enjoy a leisurely lunch on the decking at The White Eagle, with views across the bay, before heading home – a great walk, and apartment, year round. Colourful and quirky. 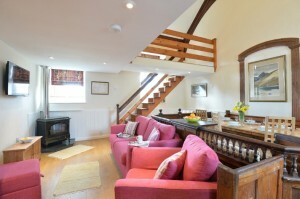 This characterful holiday cottage is super cosy. 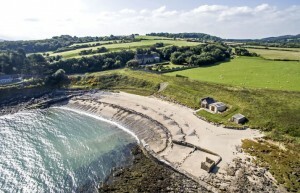 Just imagine coastal walks and pub lunches, lazy days on the nearby beach, stopping off to buy locally caught lobster and crab for supper, before returning home to spend an evening by the fire here? I do…..regularly! 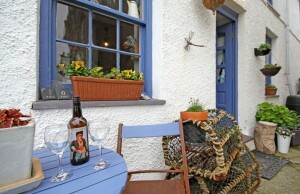 Everyone at Menai Holiday Cottages lives in (and loves!) the area, and many are dog-owners themselves – so if you need any advice, from dog-friendly beaches to the nearest shop for your Sunday paper, just ask. Chances are if you understand the above, you’re a Cumbrian. And if there’s one thing us Cumbrian folk love, it’s our pets! 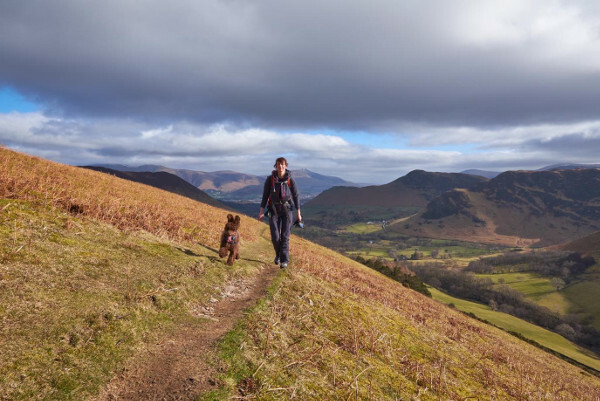 In fact, Cumbria is home to the country’s most dog friendly town, Keswick, and is famed for its dog friendly establishments and dog friendly attitudes. 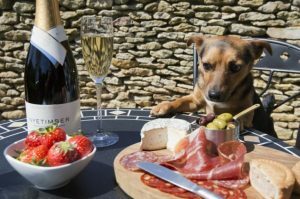 As you’d expect from a county of die-hard pet lovers, there’s a whole host of local pet businesses – so many in fact that it can be hard knowing where to begin! This is where we come in, Pets in Cumbria is a dedicated pets website, helping fellow Cumbrians with all of their pet related needs. Our pages contain everything from local pet news and advice articles, to pets for sale, pets for rehoming, pet services & supplies and recommended veterinary practices. We also hold regular competitions where you can win LOTS of pet prizes; we believe every pet deserves to be pampered now and again. Ps. For the non-Cumbrians among us, a jewkle is a dog and a ‘orse is a horse! 5 essential items when dog walking in the summer! Well, the longest day has been and gone but hopefully there’s still a lot more summer weather to enjoy! It’s only when you stop and really think about it that you realise that there isn’t much that can match the magic and enjoyment of a lovely evening’s stroll, out and about with your beloved dog. With this in mind, listed below are 5 essential items of a sensible ‘dog walking kit’ to help prepare you for whatever the summer elements might throw at you! A ‘mac in a sac’ is an essential garment when out dog walking. They pack away small enough to fit into your pocket or even clip on to your belt but do be sure to get a ‘breathable’ mac – or perhaps one with a mesh lining – otherwise when it’s raining, your own body heat will make the mac wetter inside than it will be outside! Plus, make sure its nice and bright so you are easily spotted when walking home at dusk. A clear advantage of a waterproof jacket is that it is easy to wash and even ‘re-proof’, if necessary! Leather walking boots or shoes can be heavy and perhaps make your feet too warm in the summer. So lightweight, yet sturdy, boots or shoes really are the answer. Waterproof and breathable walking boots or shoes are recommended as, at some point, you are likely to encounter puddles and streams which your trusted dog will just love to play and splash in! Nowadays, many walking boots and shoes are designed to incorporate waterproof and breathable membranes that are easy to maintain with just a quick clean and re-proof straight after your walk. However, Grisport boots are designed and manufactured in Italy and there is a selection of quality, sturdy, lightweight boots and shoes that are comfortable straight from the box. No (or very little) ‘breaking-in’ will be needed! Alternatively, if you enjoy walking through forests or muddy grounds, you may prefer a pair of wellington boots. Neoprene lined wellies, equipped with a Vibram sole will give you comfort, support and grip – which is just what you need when walking on rough and tough terrain, helping you keep full control of your excited four legged companion! a wooly hat will protect your ears and prevent ear ache when walking in those very windy areas – even if ‘doggy’ is enjoying it more than you! a flat cap can be comfortably worn but can also be used to ‘shoo’ away sheep or cattle from paths and gates – out of the way of playful and inquisitive pooches! a waterproof wax hat has the dual purpose of being used to scoop up water from a river supplying a refreshing drink for your thirsty hound ,when all else fails! As you can see, having a hat in your pocket or rucksack is very handy and, in some cases, may even be a life saver! Or if you prefer not to wear a hat, you could consider a headband. These lightweight fleece bands offer great protection over the ears without the bulkiness of a normal hat. Plus, they wrap up small enough to fit into a pocket! You may not have thought about wearing gloves in the summer but they are very useful to help maintain a grip when holding a very excitable dog on a lead. Dexshell Thermfit gloves ‘fit like a glove’! (hee, hee!) Made from a fabric similar to wet suit material, they are fully waterproof and highly breathable. Plus, designed with a unique grip control on the palm and fingers, these gloves will make sure you have the right grip on the lead. These are simply great – whatever the weather! A dog coat is an essential piece of equipment to help keep your trusted pet cool, dry and comfortable – especially after being in that river! If your pet has been swimming in a river or lake, simply wrap the dog coat around your dog keeping him or her snug. The coat will keep your pet warm and comfortable and help dry them off quicker. Plus, the drying coat will collect up the dirt from their fur by sucking it into the material itself, preventing the back of your car from getting wet and dirty! If you see that your dog is panting franticly and is over-heating, simply dip the coat in the nearest water you can find and wrap it around your dog. The wet coat will act as a body temperature regulator and will help cool your dog down. Plus, your dog will love wearing this drying coat as it fits and feels just like a ‘big, big hug’! So, enjoy being out and about in the summer months ahead…and perhaps more importantly, enjoy spending time out and about with your loving, grateful and excitable four legged friends! Dog safety is something we’re passionate about and we also care about the owners who walk them. It can be a pretty dangerous world out there, and it’s important, whatever the weather or time of day, you’re safe and well and can enjoy your time with your dog. With that in mind, we’ve put together our 5 top tips for you and your dog to ensure you stay safe at all times when out walking. Always make sure you wear comfortable clothes that you don’t mind getting a bit dirty. Dress for the weather and layer up in case things change – pack-away macs are great as they’re easily portable but can be thrown on in case of a sudden shower. Comfortable walking shoes, old trainers or wellies are a must. Also make sure your dog is kitted out appropriately, with a coat if it’s chilly. If it’s a hot day, it’s best to take a bottle of water for you and your dog, just in case you get a little dehydrated. It’s always a good idea to ensure that you have your phone with you (fully charged!) and if possible, let someone know where you are headed in case you do lose your phone or if anything should happen. Always make sure you have credit too should you need to call anyone. It should go without saying, but this one’s a biggie – make sure you take bags with you and always clean up after your dog. Reflective collars and leads are useful and can be very effective, however sometimes it’s simply not possible to walk your dog where there is sufficient light for them to be fully operational. For cyclists especially (as our director Chris found out! ), who don’t often have lights strong enough to show up a reflective collar easily, it’s really important to have your own source of light to make sure your dog is visible at all times. Our light-up LED collars and leads come in a range of bright colours, so even in daylight you and your dog stand out. At night, 2 strips of flashing LED lights ensure your dog stands out from up to half a mile away. Safety is at the forefront of our designs – from the fabric we use to the style of the product – even down to the smallest fixtures and clasps. Easy to use, charging takes 30-60 minutes at any USB outlet so no expensive battery replacements. Keeping yourself and your dog safe and visible has never been easier – or more stylish! The UK is a nation of pet-owners, and this rather sweeping statement is supported by statistics produced by the PFMA. Dogs are a particular favourite among British residents, as an estimated 25% of all UK households include a canine as a member of their family. While there are a large number of dog owners throughout the nation, however, it is fair to say that there remains concerns about welfare and whether or not every individual takes full responsibility for the well-being of their pet. Owning and caring for a dog should represent a learning process, however, and one which drives constant improvement and dedication. As a human, one of the key issues caused by extreme heat is dehydration. This can be negated by the consumption of water and fluids, and the same principle can loosely be applied to canines during the heat of summer. While a dog’s genetic make-up differs wildly from humans, enabling them to have regular access to water will help them to remain cool and keep the heat at bay. To assist this process, you may even want to add ice cubes so that the water remains below the existing room temperature. During the summer, dogs enjoy nothing more than basking beneath the glare of the sun. 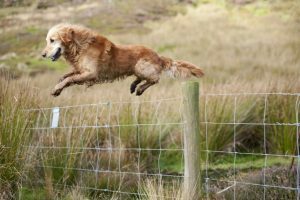 While this enables them to benefit from any available breeze, however, it may not prevent them from panting excessively and struggling to stay cool. You can help them to feel more comfortable by covering them in a towel that has been soaked in cold water, as this will help to reduce their body temperature. 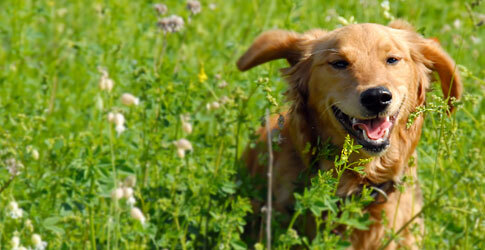 While your dog may become restless and resist this initially, they will soon welcome it once they feel the benefits. You can invest a fortune in pet and dog ownership, from the procurement of bedding to a high quality collar from a reputable supplier such as Collars and Tag. Although these purchases represent a key part of caring for an animal, sometimes all you really require is an eye for detail and an ability to think creatively when dealing with issues. In terms of cooling your dog down when they are inside during the summer, for example, you should strive to move furniture and create a space that is well protected by shade and shadows. This will give them plenty of space to rest, play and escape the heat of the sun when required! seeking, needing frequent exercise and love which a doting family can usually provide in bucketloads.So if you are considering getting a pooch as a pet what sort of things do you need to ensure that you are set up adequately for when you bring him home for the first time. wipe able floor as spills do happen. An ideal location would be a utility room or similar. It is important that you are clear about your dogs identity from the start as changing names can cause massive confusion for the animal. Chose a name well in advance for your dog coming home and get a collar and tag made so that in those inevitable moments when your dog decides to run away across the field, you know he can be returned safely if someone else catches up to him first! bulldog play with quite different toys.